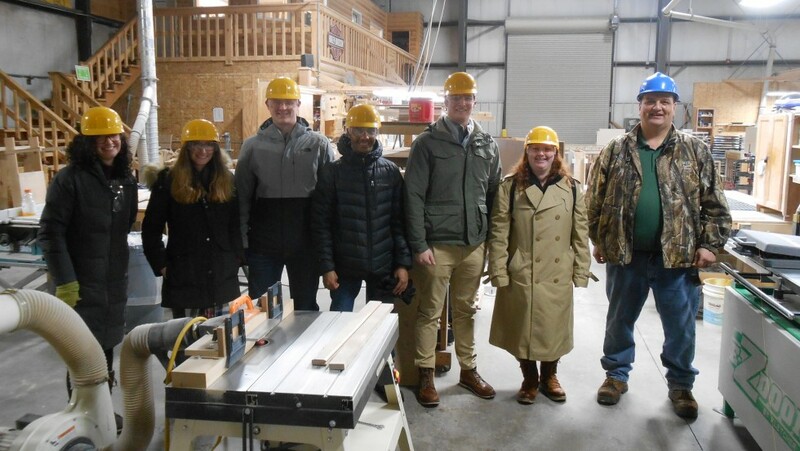 Students enrolled in MSOE’s University Scholars Honors Program visited the Menominee Indian Reservation in northeastern Wisconsin to learn how the Menominees’ sustainable forestry reflects traditional Menominee cultural values. It’s a trek people from all over the world make to learn about their practices. MSOE’s students visited the reservation as part of Dr. Patrick J. Jung’s cultural anthropology course and Dr. Candela Marini’s honors seminar. Part of the MSOE Mindset entails ethical thinking: “Being able to conduct oneself with a sense of usefulness, presence, acceptance and stewardship.” Nothing better illustrates this aspect of the MSOE Mindset than the sustainable forestry practices of the Menominee people. Also integral to the MSOE Mindset is community building through empathy and listening; in other words, engaging with—and building bridges to—communities whose unique cultures can inform and temper our own value system. Students discovered the Menominees, like many American Indian societies, see themselves not as separate from the environment but integral components of it. Thus, they are careful in their stewardship of the forest on their reservation and seek to ensure it remains intact for many generations to come. “Contrary to stereotypical images of Native Americans trying to stop ‘progress’ by fighting against mines and pipelines projects, the Menominees’ sustainable forestry stands out as a clear example of resource management that actually thinks about, and works for, the future,” said Marini. The Menominee Reservation consists of 235,000 acres, and approximately ninety-five percent of this land is forested. More than 30 tree species can be found in the Menominee forest, including white pines that are more than 200 years old and 150 feet tall. The maple trees on the reservation are particularly valuable and produce some of the most coveted hardwood in the world. 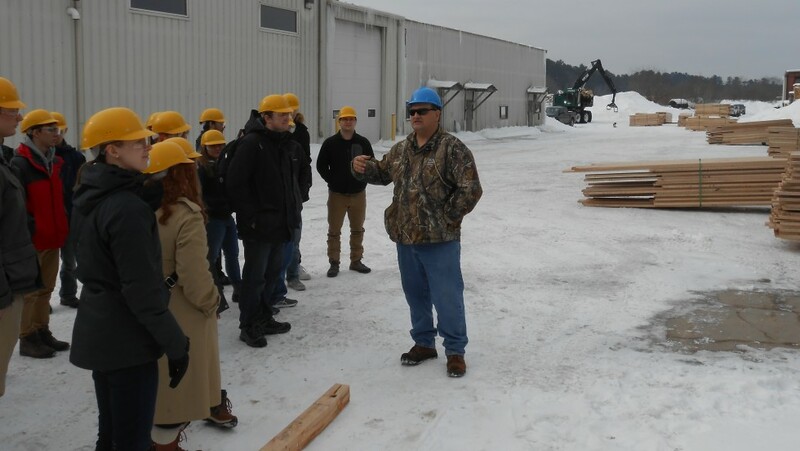 The tribe harvests only the most mature trees on a sustainable basis, and the harvested trees are processed by Menominee Tribal Enterprises (MTE), the business concern that has operated the lumber mill on the reservation for over a century. MTE produces over 15 million board feet of high-quality wood products each year. 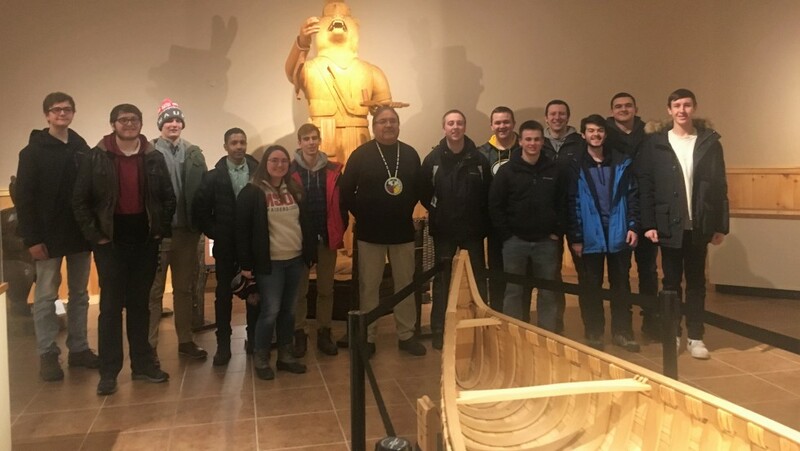 After touring the MTE lumber mill, MSOE’s honor students also visited the Menominee Cultural Museum where they met David Grignon, the tribe’s chief historical and cultural preservation officer, who related the Menominee creation story and further explained how Menominee cultural values have shaped the tribe’s sustainable forestry practices over the course of time. John Awonohopay poses with MSOE students in the Menominee Tribal Enterprises’ cabinetry workshop. 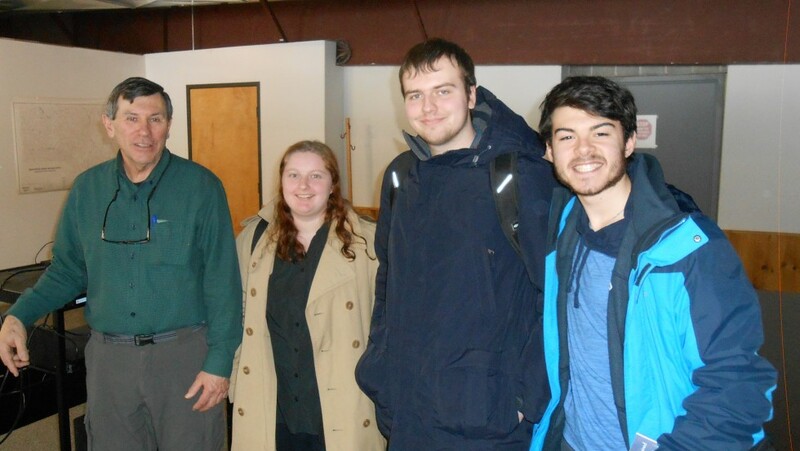 David Grignon, chief historical and cultural preservation officer for the Menominee tribe, poses with MSOE honors students in the Menominee Cultural Museum. Behind them is a carving of the Great Bear, a key figure in Menominee oral traditions. Chief Forester Marshall Pecore of the Menominee tribe poses with MSOE honor students Molly Uchtman, Michael Monaco and Michael Rinaldi. John Awonohopay of Menominee Tribal Enterprises explains the operation of the lumber mill in the village of Neopit on the Menominee Indian Reservation to MSOE honors students.